Organic food is food that is produced from organic farming, a production method based principles intended for: protecting the environment maintaining biodiversity respect for natural cycles. 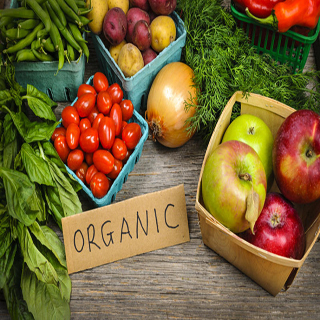 The term organic refers to how the product agricultural cultivated and processed. Specific requirements must be met and maintained so that the product can be labeled organic. Organic crops must be maintained on the ground a safe, non-genetically modified and should always be separated from the product conventional. Farmers are not allowed use of synthetic pesticides, organisms genetically modified (GMO) and fertilizer artificial. However, pesticide residues Organic crops are not always zero because pesticides can still enter through the wind, water or soil. Organic livestock must have access to outdoors and fed organically. They should not be given antibiotics, hormones growth or animal byproducts. In order to get the organic label, a processed food products must contain at least 95% organic ingredients certified. © Beras Organik MD. All Rights Reserved.